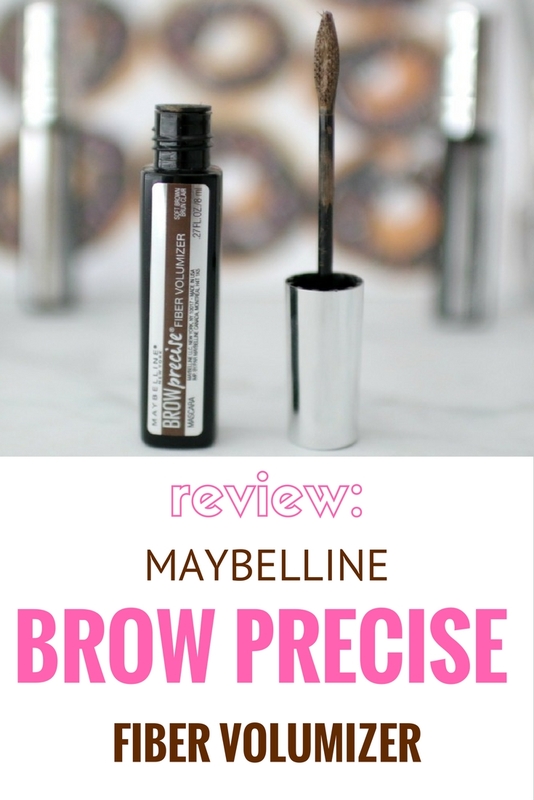 I mention this because I brought a new brow product with me that I've been testing that I got from Maybelline. 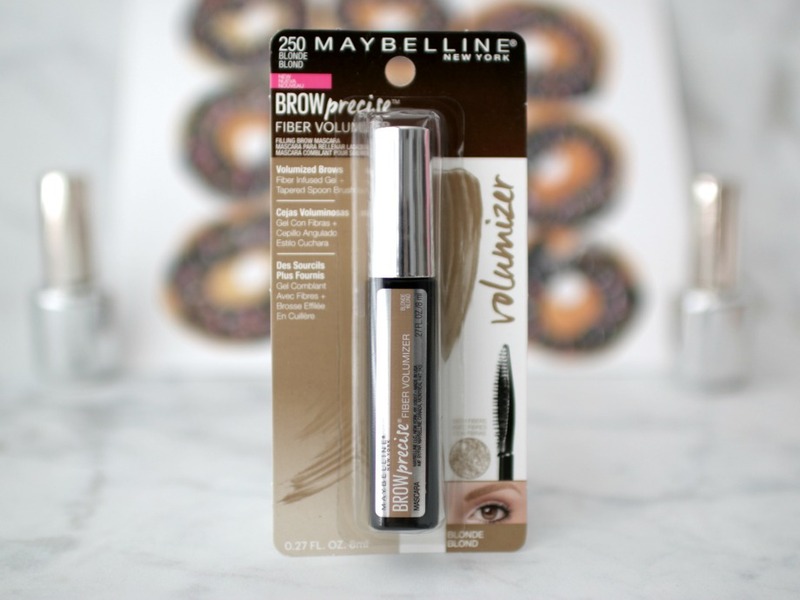 It's the new Maybelline Brow Precise Fiber Volumizer. If you follow my Insta or Snapchat (ellesees on both) you saw a preview of it! Here's the packaging. Via Maybelline: Brows get a three-dimensional WOW effect. 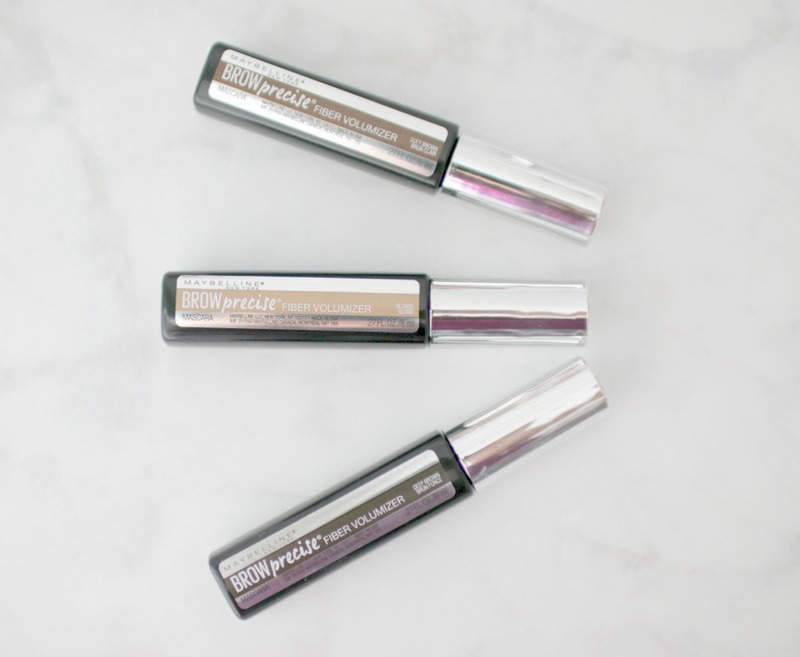 Maybelline’s fiber-infused gel formula adds volume and color for an instant brow boost. The tapered spoon brush delivers precise application from corner to corner. Let's talk about the wand--it is flat with a bit of an indention in the middle, for holding product, like a lip gloss wand. It has small teeth for helping dispense the product. I'm wearing soft brown, but would rather use the medium brown, which I need to get! The formula is a little thick with fibers--similar to brow products from Benefit and Essence, but the fibers aren't as evident as with Benefit. 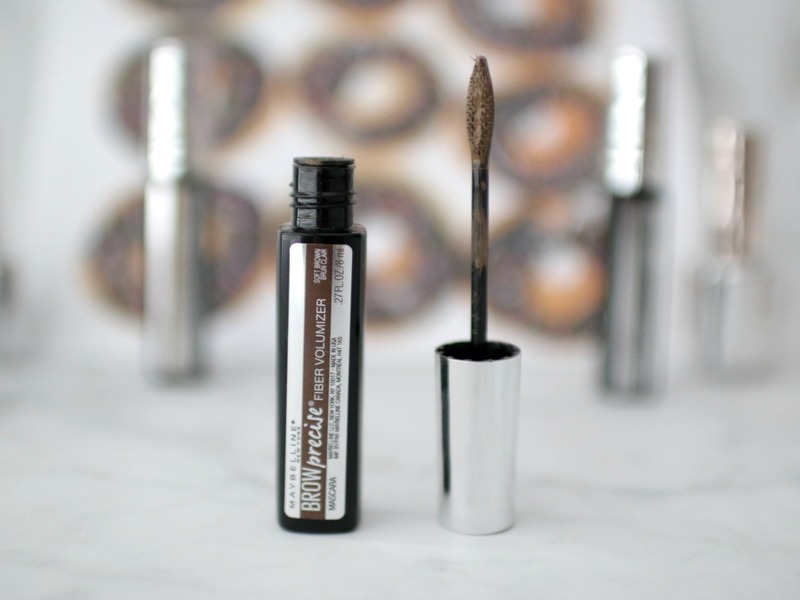 It is easy to use and I like it better than the Maybelline brow mascara. Remember the 109 heat index I mentioned earlier? It lasted through that and the humidity easily. So did it work? Yes. On your left are my brows with no product. On your right, you can tell they look more filled in. I really brushed them up here to show the product, but normally I wouldn't them look as untamed as they do in the pic on the right. What didn't I like? I'm not a fan of the wand size. It's a little larger than I'd like, but I find it easier and smaller to use than the other Maybelline brow mascara though. Overall, I really liked it and plan on purchasing another one. 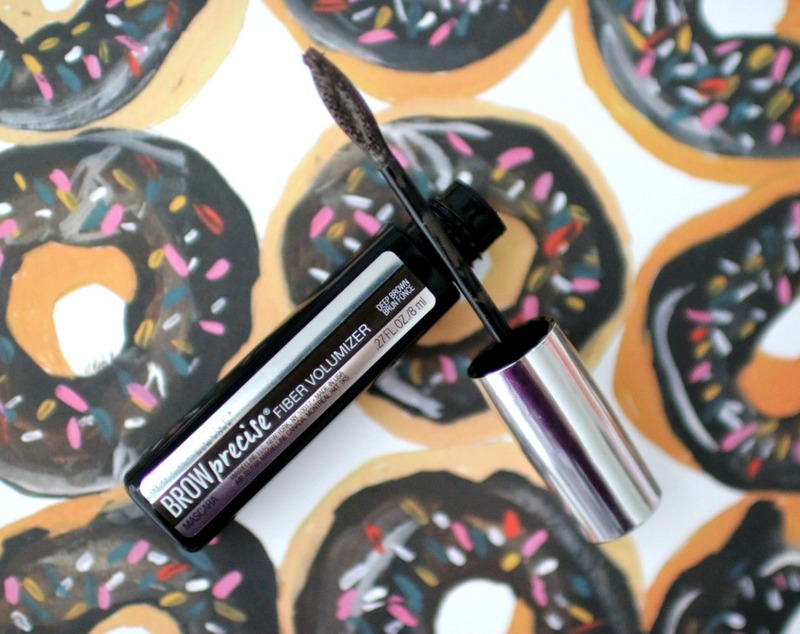 Have you heard of this new brow product? Me too. I was really impressed!! i am all about eyebrows lately, so I will have to try this out. I am so sorry for your sister's family loss. It's always hard to loose a fur-baby. I have been looking for a brow filler and I love how natural this ones looks and you can't beat the price! I may need to ty it! Thanks for sharing this product! I like the wand. So sorry about your sister's dog. I hope peace will come swiftly her family after this loss. Thanks! What did you think of the post? OH no! That is so sad about your sister's dog. That is so, so hard! Brows are my jam! Combine that with it being a drug store product - totally going to buy this. Thanks for sharing. This looks like a great product! I love anything that helps shape and make my brows look fuller! Wow, that's amazing it held up with those high temperatures and humidity! Love the price point on it too. My eyebrows are so light, I'm always searching for a brow filler that darkens them a little but not too much. I think yours look super natural! Thanks for the review, Elle! Such a great price point! And yay to holding up in the hot summer heat! Looks like an amazing product! I'll have to check it out. Thanks for sharing this review. 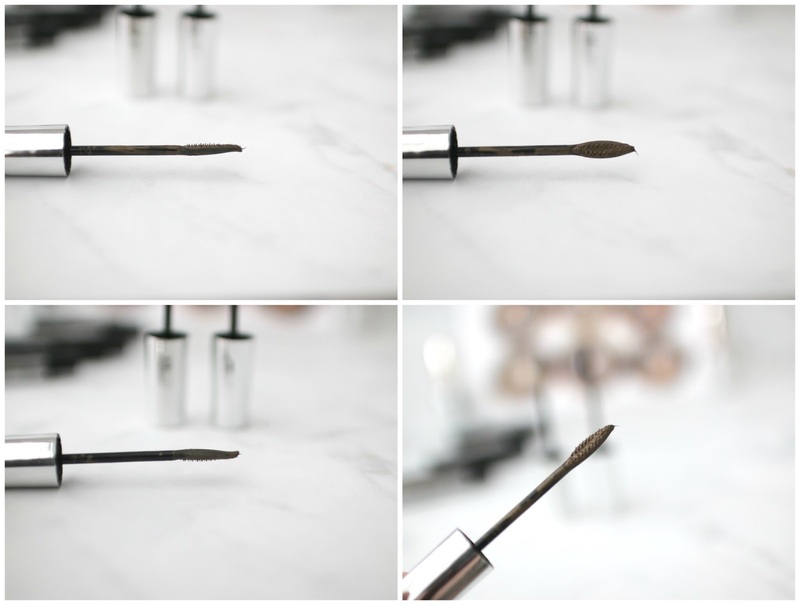 Mh brows are so dark, but I kinda like this brush and would use them to tame my brows, haha! I don't think it would work for me as my brows are sparse and the size of the wand is too big for me. I do love the result on you, Elle! It looks natural. 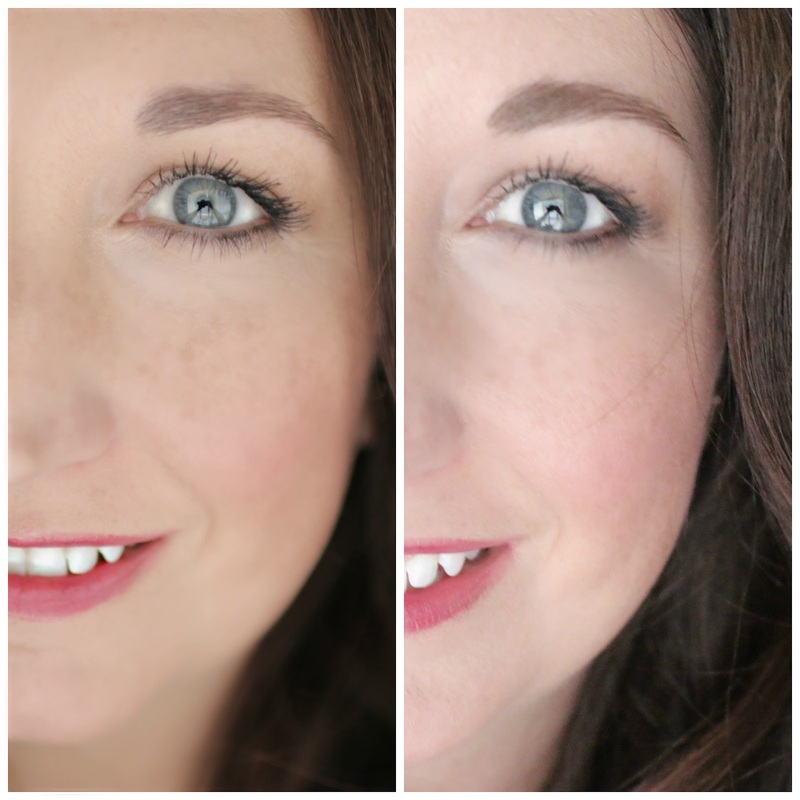 I hadn't heard of this product yet, and I've been looking for something similar to the Benefit Gimme Brow. Definitely going to pick this up. Great review! This brow product looks lovely on you, great to find a brand which works for you and even better if it's an affordable one. I can see what you mean about the wand being a little big for a brow product. I am such a klutz with that stuff I would make a mess haha. I do love the price point! This sounds like something I could use! Great price point too! 2016 has become the year of the brow, hasn't it? Oh I have not heard about this stuff but it sounds very interesting. Will have to check it out. I have really been into my brows lately. They do make a difference. I always feel unfinished if I don't shade my brows a bit before I leave the house. I think I would like to give this s try myself. Interesting concept and it made your brows look good and that's all I really care about. Plus their prices are awesome! I haven't heard of this yet, but I love a good brow product! And one that is quick and easy is the best. This looks great! I currently use Anastasia Beverly Hills prow pomade and I do love it but sometimes I want a quick fix. I just might try this! That wand is super unique! I'm glad this worked for you and your brows look nice! I would think the wand is a bit too big too, but it's unique ness sort of makes me want to try it! What an interesting wand! 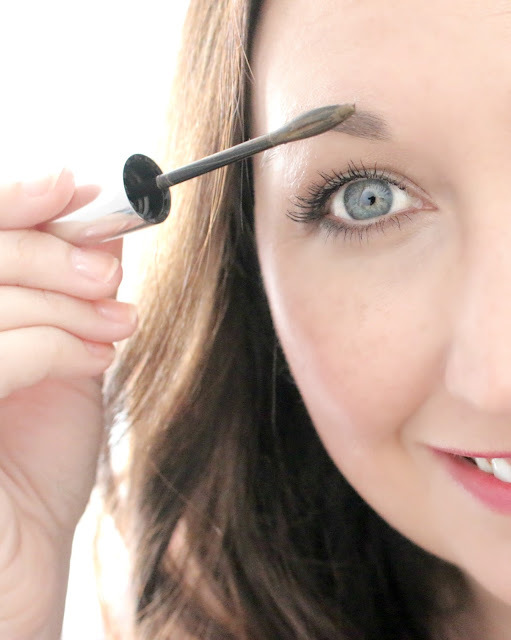 I only use brow product for special occasions, but this is one I might want to try! Glad it was such a winner! I've never heard of this, but I want to give it a try! I think I need to start using a brow product, and the price point of this one is perfect. I have to admit that brows are probably the most neglected part of my face when it comes to makeup. This product looks really cool! I have about 10 brow products that I never use already #lazybeautyaddict so I won't be picking this one up anytime soon. It does sound wonderful though. Glad you had a great weekend and I feel you on the hot weather! Ugh! Oh man, the heat sounded terrible for this past weekend! I think that we would have been right there with you, except that we had some rain to help cool us off. The Brow Precise Fiber Volumizer sounds like a great product, and you can't beat the price either! The wand on that is so cool. I've never see that! Sounds like you got great results with this! I really like a quick option for doing my brows on days when I don't have time to do more. This sounds perfect, especially if it lasts in the heat! This products looks amazing, haven't heard anything about this yet or seen it I can't wait to get my hands on it!! This sounds it will be perfect for everyday, can't wait to try this to for myself. I always forget to do my brows... Oops. Or have anything to do them with. But I could get behind this..! I almost bought this today, but I hadn't heard anyone talk about it so I passed. I will definitely be trying this! I thought you would say that the wand was good; when I saw it I quite liked it, but well, I didn't try it. I would like to, although I never use any brow product. But I would like to, because the difference looks great! And 5 shades, that's good! I will show the post to 2 friends who always look for brow products - one plucked hers so much (in her country in Europe, it was a cultural thing) and now she has nearly nothing, I hope Maybelline help her! I really like brow gels with fibers. This looks natural. Can't wait to give it a try myself! This looks simple to use and it looks quite natural too.